Warendorf kitchens offer clean lines, high-end design and immaculate quality all combined with the latest innovations in kitchen developments, creating what is probably the leading name in German kitchens. Their amazingly versatile range of kitchen units and finishes enables the kitchen designers at Moiety to put together winning combinations for our customers. These really are "no-compromise" kitchens that will serve you well for many, many years. If you pay a visit to our North London kitchen showroom you will find our truly unique floating Warendorf kitchen on display. Since we opened our showroom, many of our clients have chosen a Warendorf kitchen. The quality and innovation of these kitchens never fails to impress and their flexibility in sizes, finishes and styles means that almost anything is possible. With a Warendorf kitchen customers can really express their own personality on what is probably the most important room in the home. Our kitchen designers are able to work with the manufacturer to deliver exactly what you are looking for in your new kitchen. 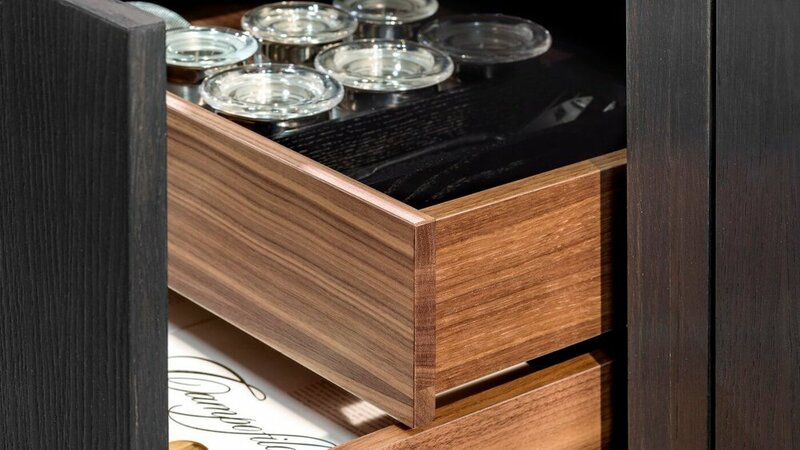 With kitchen units designed and manufactured in Germany, you will find that it really is all about the details. Warendorf offer a vast range of features and their attention to detail in their manufacturing and features is evident throughout their range. 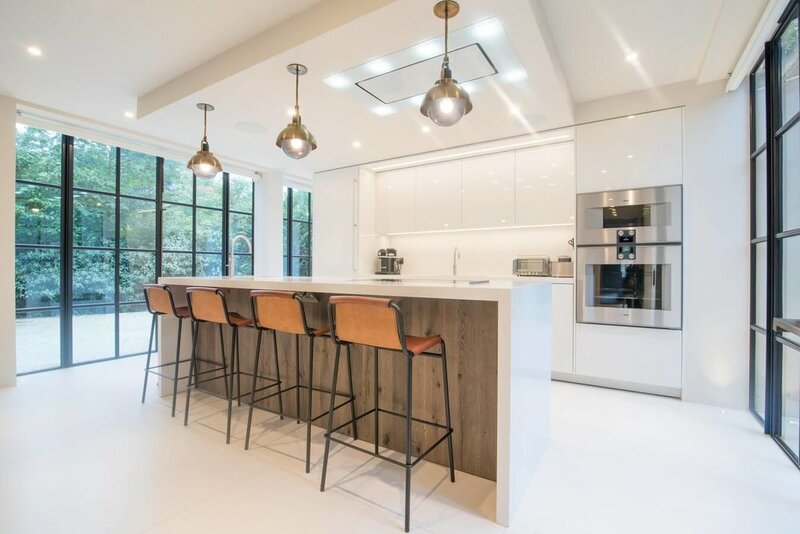 Below are a selection of close up images showing you some of the more intricate and space saving features that are offered in a modern fitted kitchen. 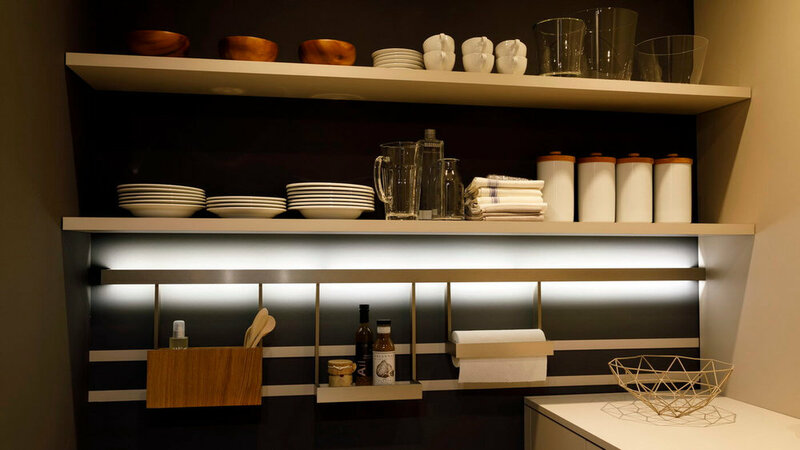 Your new kitchen really will have "a place for everything and everything in it's place". 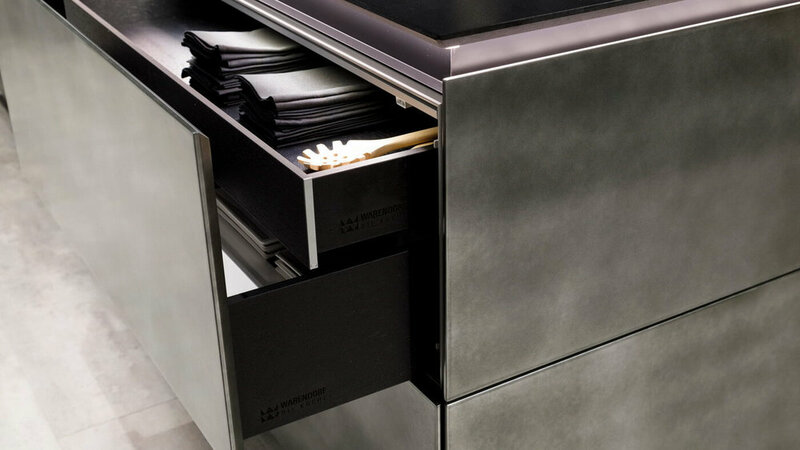 Call 020 8455-3226 to talk to us about what Warendorf kitchen might work for you.